Update February 2015: Joy Ridderhof’s biography became the second in the Potter’s Wheel series of Christian biographies for children. You can see the book here and read a sample chapter here. I’ve written here and here and here and here and I guess especially here about how important I believe it is to give children good examples of Christians who “do exploits” for the Kingdom of God. So different was she from her name. But oh Joy! She was never to blame. That Joy was a woman I knew years ago. I marveled at the disparity between her name and her character. What irony. Here’s Joy Ridderhof trekking through the jungle in her dress. That’s my kind of woman. This was not Joy Ridderhof. Emphatically not. 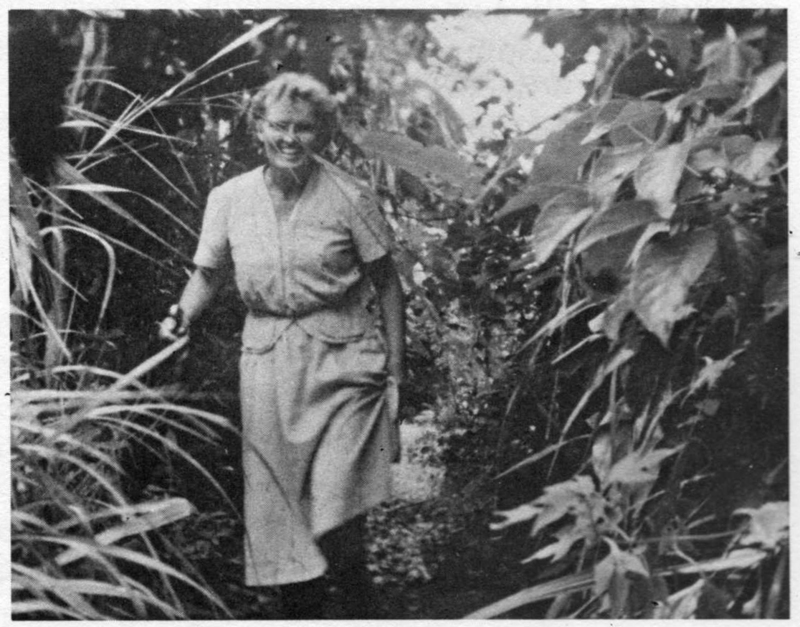 With the goal of recording every language she could possibly find, Joy Ridderhof persevered with temerity, trekking through jungles and over choppy seas in little boats, energized with a joy that glowed on her face. She knew something about who Jesus Christ was to her, and in her. Good Rejoicing Practice. They began to call it GRP. Good Rejoicing Practice. When your delicate recording equipment breaks in the middle of a South Sea island. When you miss your plane. Lose your luggage. Get lost in the 120-degree jungle. Never have a husband. Contract malaria. First, Seek God: She told the staff to reserve one entire day for prayer every week! Then, Trust God. Move forward. At each setback, praise Him, truly praise Him, trust Him, and start fresh. One more example in that Cloud of Witnesses. One more who did her Small Great part to advance the Kingdom. Praise God for those who have gone before and who, for us who come after, point the way. Hi. I am reading this story via a Trailblazer novel to our Grade 6 – homeschooled daughter. Enjoyed finding your web page on Joy. Mi familia siempre recuerda a la Señorita Joya, ella fue la misionera que llevo el evangelio a mi familia en Honduras, siempre la recordaremos. ¡Qué hermoso! ¡Alabado sea Dios!